3652401 FB35 TOYOTA FB35 Electric forklift FB series. Spare parts catalog. Service (workshop) Manual. 3652402 7FB35 TOYOTA 7FB35 Electric forklift FB series. Spare parts catalog. Service (workshop) Manual. 3652403 FB40 TOYOTA FB40 Electric forklift FB series. Spare parts catalog. Service (workshop) Manual. 3652404 7FB40 TOYOTA 7FB40 Electric forklift FB series. Spare parts catalog. Service (workshop) Manual. 3652405 7FB45 TOYOTA 7FB45 Electric forklift FB series. Spare parts catalog. Service (workshop) Manual. 3652406 FB50 TOYOTA FB50 Electric forklift FB series. Spare parts catalog. Service (workshop) Manual. 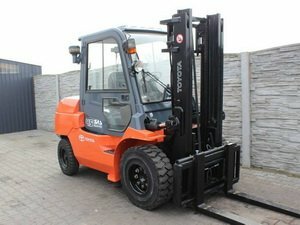 3652407 FB60 TOYOTA FB60 Electric forklift FB series. Spare parts catalog. Service (workshop) Manual. 3652409 7FBCU35 TOYOTA 7FBCU35 Electric forklift FBCU series. Spare parts catalog. Service (workshop) Manual. 3652410 30-7FBCU35 TOYOTA 30-7FBCU35 Electric forklift FBCU series. Spare parts catalog. Service (workshop) Manual. 3652411 7FBCU45 TOYOTA 7FBCU45 Electric forklift FBCU series. Spare parts catalog. Service (workshop) Manual. 3652412 30-7FBCU45 TOYOTA 30-7FBCU45 Electric forklift FBCU series. Spare parts catalog. Service (workshop) Manual. 3652414 7FBJ35 TOYOTA 7FBJ35 Electric forklift FBJ series. Spare parts catalog. Service (workshop) Manual. 3652416 7FBM35 TOYOTA 7FBM35 Electric forklift FBM series. Spare parts catalog. Service (workshop) Manual. 3652417 7FBM40 TOYOTA 7FBM40 Electric forklift FBM series. Spare parts catalog. Service (workshop) Manual. 3652418 7FBM45 TOYOTA 7FBM45 Electric forklift FBM series. Spare parts catalog. Service (workshop) Manual. 3652420 7FBMF35 TOYOTA 7FBMF35 Electric forklift FBMF series. Spare parts catalog. Service (workshop) Manual. 3652421 7FBMF40 TOYOTA 7FBMF40 Electric forklift FBMF series. Spare parts catalog. Service (workshop) Manual. 3652422 7FBMF45 TOYOTA 7FBMF45 Electric forklift FBMF series. Spare parts catalog. Service (workshop) Manual. 3652424 8FBMT35 TOYOTA 8FBMT35 Electric forklift FBMT series. Spare parts catalog. Service (workshop) Manual. 3652425 8FBMT40 TOYOTA 8FBMT40 Electric forklift FBMT series. Spare parts catalog. Service (workshop) Manual. 3652426 8FBMT45 TOYOTA 8FBMT45 Electric forklift FBMT series. Spare parts catalog. Service (workshop) Manual. 3652428 FBC60 TOYOTA FBC60 Electric forklift FB series. Spare parts catalog. Service (workshop) Manual. 3652429 7FBCU55 TOYOTA 7FBCU55 Electric forklift FBCU series. Spare parts catalog. Service (workshop) Manual. 3652430 30-7FBCU55 TOYOTA 30-7FBCU55 Electric forklift FBCU series. Spare parts catalog. Service (workshop) Manual.